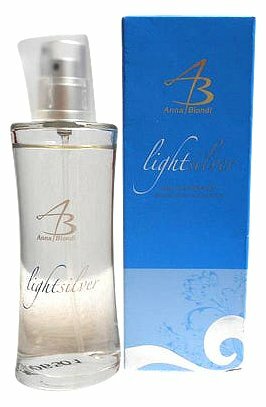 Light Silver is a popular perfume by Anna Biondi for women. The release year is unknown. The scent is citrusy-fresh. It is still in production. This perfume is fresh light and very very subtle. I have emptied my bottle (purchased from Aldi Grocery Store) and I am totally disappointed that I cannot purchase anymore. It is the best value perfume i have bought for a good few years,I have always bought more expensive perfumes,but this has been the best. It last a long time once applied,and I have received many comments about the fragrance.I am looking foreward to being able to purchase this again. Congratulations to Anna Blondi for this extra special fragrance. Write the first Review for Light Silver!